7. Over 1 trillion plastic shopping bags are used every year worldwide. That’s about 1 million every minute! Of those bags, only about 1% are recycled. 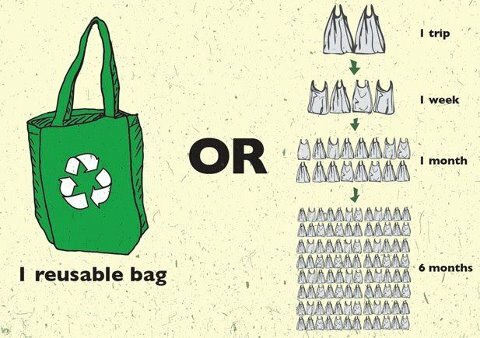 Break the cycle and purchase a reusable bag for your groceries!